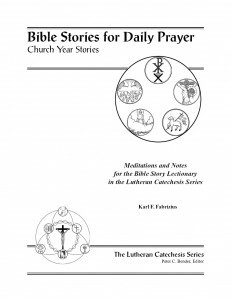 The Bible story lectionary is a selection of narratives that are used in a three-year cycle in conjunction with daily prayer in home, school, and congregation. Everyone reads and discusses and meditates upon the same stories, regardless of age or maturity. 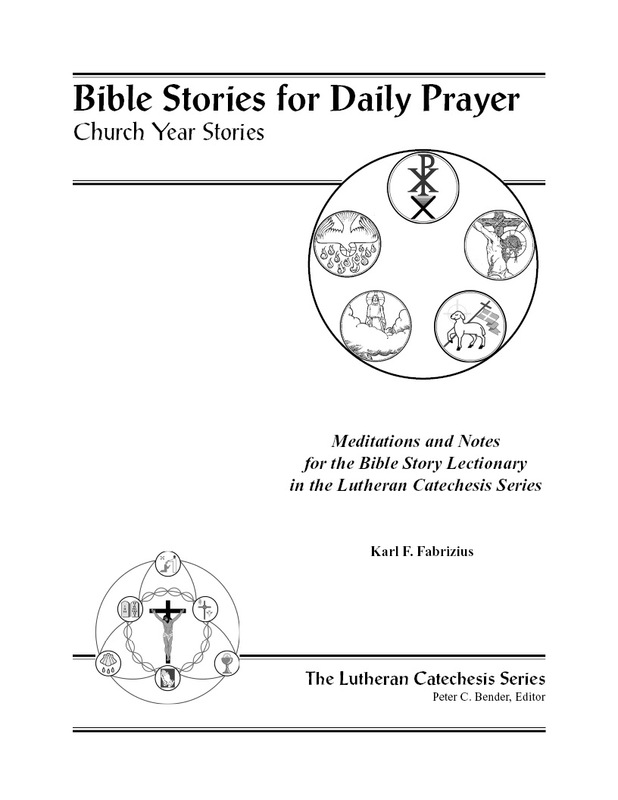 Bible Stories for Daily Prayer provides meditations and notes for all these stories. The story is read from the Bible itself. 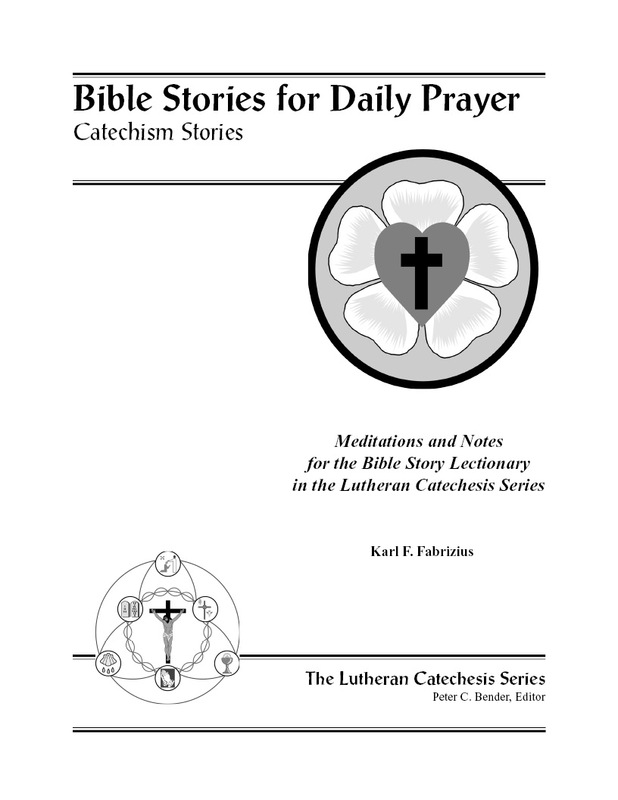 For each story, Pastor Fabrizius provides a set of questions (with short answers) to guide the catechist in leading discussion with those present. These questions may be as simple as asking who/what/where in the story. Or the questions may be more involved, such as seeing the connections with the liturgy and sacraments, or between Old Testament stories and their fulfillment in the New Testament. 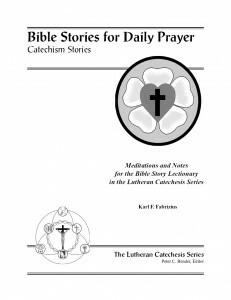 The meditations provided for each story are more than catechetical summaries—they are meditations that proclaim the central Christological, sacramental, and biblical themes of each story. Bible Stories for Daily Prayer is often used in parochial schools and in homes for daily prayer. These books can easily be adapted for use in Sunday School, VBS, and for parish Bible classes. The material is also used by pastors, teachers, and others as a reference for study of the Scriptures. plus the two volumes of additional stories. Prices can be found on our price list.